I am excited to have Nikolas Baron from Grammarly here as my very first guest post! Grammarly is an automated online proofreader that helps over 3 million users perfect their written English. Due to the immense volume of material that they proofread daily, Nicolas has incredible insight as to how people are writing and the mistakes being made. Since this blog is dedicated to the aspiring and debut author, he has agreed to share some of that insight here today. Take it away, Nikolas! If you’ve ever watched the British film, “The History Boys,” you probably remember the expression, “You can’t polish a turd”. The connotation is pretty clear; it doesn’t matter how hard you polish a turd, a turd will always be a turd. That is perhaps the harshest comment, and one of the last I ever want to hear in reference to my writing. 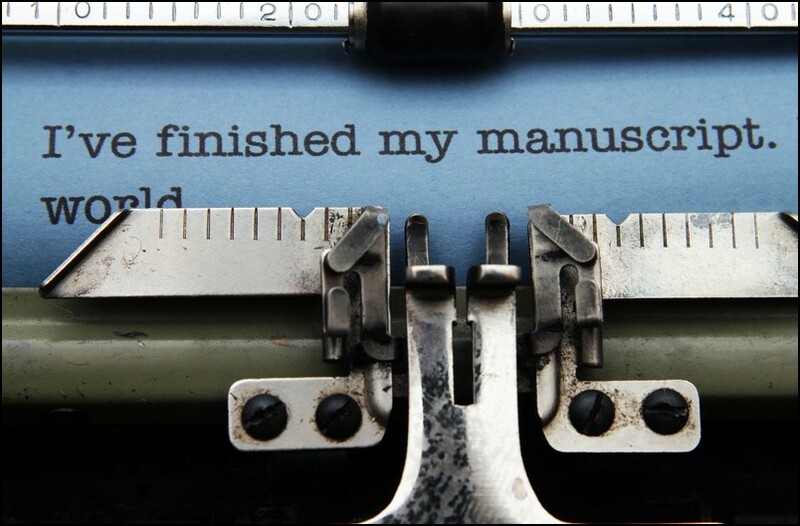 The end goal for many of us writers probably pretty much centers around the same things: write an amazing book, get published by a huge company, top the bestseller charts everywhere, receive extravagant royalties, and get rich and famous. But many of us are stumped right at the first step – write an amazing book. Now how in the world are we supposed to string together a whole lot of incredible words to form this miraculous mass of a book? In this article, I’ll be tackling a few points you will need for a great product. I’m not saying this to sound all cliché, but this point is often overlooked simply because it is assumed. Passion. You have to absolutely love it. Love writing, love books, love it; the feeling has to be so strong that majority of the days, you jump out of bed because in some strange realm, your characters, your chapters, and your story are calling out to you. Many people presume that just because they’ve got some opinions and the caliber to write, it automatically gives them the super ability to go through from writing to publishing an entire book. I hate to be the bearer of bad news, but writing a book is like giving birth; even worse, since most of the time it takes more than 9 months. This passion is what will motivate you, even through the worst days, to put in your best efforts in writing and marketing your book. Consistent writing. Set aside time every day to exercise your writing muscles. You wouldn’t believe how this small effort to allow your brain to think in words can translate into drastic improvements with your writing. Think of it as quality time between you and your cerebral cortex. Of course there will be some days the ideas just don’t seem to stick, and you’ll feel like you’ve gone entirely bonkers. But in the words of Lewis Carroll in Alice in Wonderland, “all the best people are”. If any inkling of an idea does come, at least you’ll be there ready to put it down. Writing only gets easier with practice. Scrivener to keep your mental notes, complicated plots and detailed scene notes in order. Unless you’ve got the incredible memory of a dolphin, chances are you won’t remember the detailed nitty-gritties of your entire story plot. If you’re writing something long and complicated with loads of references, Scrivener will fast become your best friend. Keep your fragmented ideas, character sheets, references or quick ideas all in one place. Scrivener creates that structured order from complete chaos. The corkboard view is particularly impressive and useful, firstly to organize the flow of your writing and secondly, to show off your writing inclinations to any unaware wondering eyes. For the secrets to perfect grammar, many writers employ the help of proofreading software. It is very difficult to reach exact precision when it comes to writing; even after it has gone through tons of editing, books still get published with spelling errors and grammatical mistakes. Grammarly is climbing the ladders and making its way onto the bookmarks list of many authors. This intuitive online program grammar-checks your entire document, from technical to structural errors, without missing a beat. Detailed explanations are given to remind you of certain language annoyances. With one click, you’ll be able to correct every little error in your manuscript. It works like a charm. These are some tools I use to ensure that my writing isn’t labeled a turd by any measure – perhaps my biggest fear. My parting words: always write about things close to your heart otherwise it’ll definitely reflect on your writing and no number of tools will be able to dig you out of your hole. This entry was tagged editing, Grammarly, guest blog, polish, writing advice. Bookmark the permalink.